We all need no-nonsense cake recipes. The sponge cake recipe that always rises to the top of the tin; the perfectly-spiced Carrot Cake; the most chocolatey Brownie and flourless chocolate cake; the retro Upside-Down Cake; the please-don't-be-dry fruit cake; and, these days, the failsafe Gluten-free Cake (thank you Moro the Cookbook) - essentials all. I would add to that list a luscious Lemon Cake. In fact I'd put it at the top of my list of go-to recipes, but then I'm a sucker for citrus. Helena Attlee in her book The Land Where Lemons Grow tells us that Sicilian growers "call their beautifully cultivated lemon groves Giardini or even Paradisi". As a grower - sadly not of citrus - this appeals to my bucolic senses. Dipping into her book, which covers all types of citrus grown in the areas of Italy where cultivation is suitable, has just made me check my stash of marmalade now the season is coming to an end. Helena reminds us that only the British are somewhat fundamentalist about what goes into marmalade, demanding Spanish Seville oranges when there are plenty of other bitter citrus fruits that do just as well, if not better. This year my own favourite marmalade contains bitter orange, mandarin and lemon, but Seville Marmalade has a place on my shelves too. I've hardly scratched the surface of Catherine Phipps's book Citrus: Recipes that celebrate the sweet and the sour but enough to be awakened to how much I take lemons for granted - the dressings and syrups; the curds and lemonades; the sorbets and marinades; the puddings and preserves; the stuffed chickens and braised chicories. 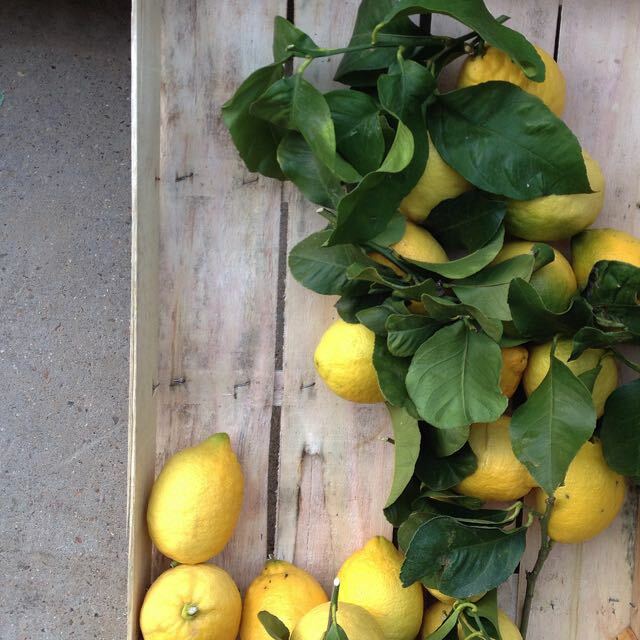 Enough to identify with the truth that "If a dish seems muddy or flat, with indistinct flavours that are not quite gelling, the chances are a squeeze of lemon will sort it out." Rachel Roddy in Five Quarters puts it most succinctly, I think. Lemons "lift, cut, sharpen, encourage and brighten" And she has a star recipe for Ciambellone di Ricotta e Limone (Ricotta and lemon ring cake), which vies for my attention with Carla Tomasi's recipe for Cassola (Lemon Cheesecake). Which brings us back to cake. 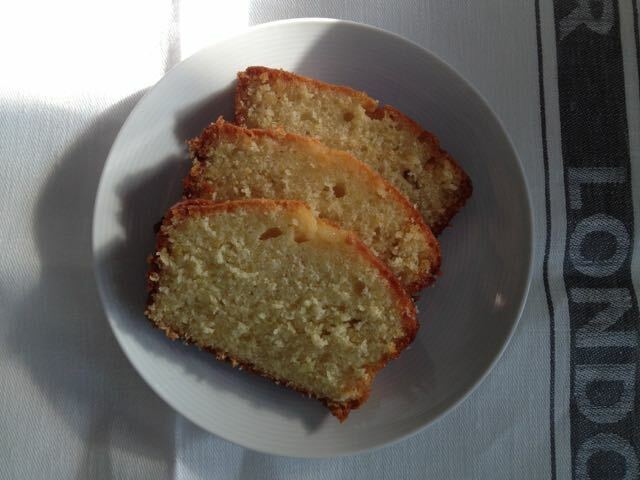 I picked up the original of this Lemon Cake recipe when visiting the USA around two decades ago. It's been tweaked and turned on its head many times since - I remember originally it contained poppy seeds and sometimes it still does. Like so many recipes I make again and again I thought it wasn't special enough to merit a posting. But if I've learned anything, it's that those are the recipes that we should be sharing. I value this recipe as I value those lemons. So here is what I think I can now call my Lemon Cake recipe. Even after all this time I feel another tweak coming on. Searching my bookshelves for a Jane Grigson quote on 'lemons' I noticed a reference to lemon syrup to be poured over a pound cake with a suggestion to add a "measure or two of gin"! Maybe next time I will. This one is just made for a cup of tea. Preheat oven to 180°C (160°C Fan)/Gas 4. Lightly butter and flour the loaf tin. Add the eggs, little by little, beating well. Combine the flour, baking powder, salt and lemon zest. Add the dried ingredients to the creamed mixture in three portions, alternating with the milk, mixing each in briefly just until smooth. 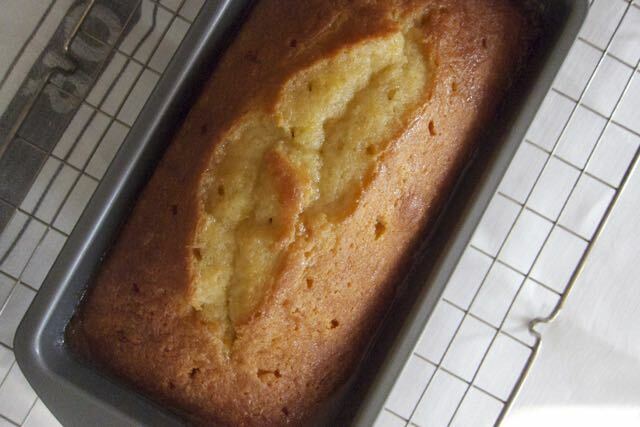 Pour into the prepared loaf tin, making a slight indent down the centre so the cake doesn't rise too unevenly. Bake until golden brown and a skewer comes out clean - 55-60 minutes. Remove from the oven. Gently heat the lemon juice and sugar for the syrup until the sugar has dissolved. Pierce the loaf with a skewer around 12 times and pour the hot syrup over the cake in the loaf tin. Allow the cake to cool for 30 minutes before turning out onto a cooling rack. Cool completely, wrap in cling film and leave at room temperature overnight. Keeps well for 3-4 days. If you would like to add poppy seeds, add 3 tablespoons to the milk and allow to soak for 1 hour before making the cake as above.